I always have trouble getting out of bed int the morning, I usually have about 3 different alarms set to wake me up, it looks like I need one of these Ultimate Alarm Clocks. 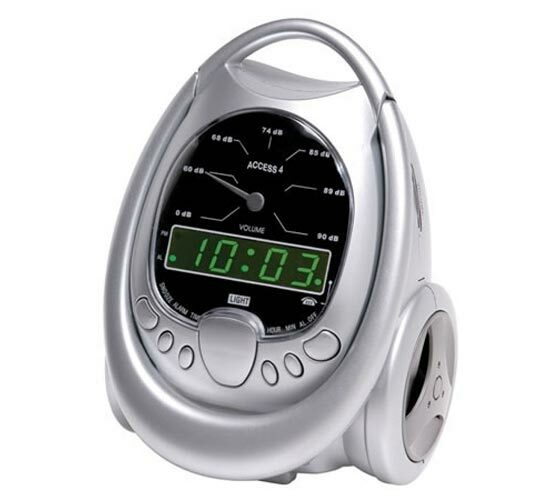 The Ultimate Alarm Clock will play an annoying alarm, that can be set to really high volumes, it will also shine a bright LED lamp and it features a built in bed shaker function which is bound to wake you up. If you have trouble getting up in the morning then this may be the alarm clock for you, the Ultimate Alarm Clock is available for $84.99 from here.